We’ve all met people in their 70s and 80s who have bright, vibrant eyes. Their minds are constantly flowing with new ideas. And their confidence and energy are infectious. I know that when I get older, I definitely want to fall into this group. You probably do, too. But you might be a little concerned whether you’ll manage it or not. This is especially true if you experience fleeting memory problems or occasionally forget errands and appointments. That’s why I’m dedicating three full issues of Advanced Natural Wellness to giving you ways to stay alert, sharp-witted and active as you grow older. I’ll show you exactly what you can do to make your brain younger, smarter and just as sharp as it was when you were younger. But first, let’s take a brief look at how the brain changes as we age. The American Academy of Neurology says about 25% of the U.S. population over age 65 suffers from memory loss and mild cognitive impairment. That’s one in four. What’s going on? Why is a quarter of our aging population losing its brainpower? Reduced size. Your brain cells shrink as you get older. This loss of brain cells is called “cerebral atrophy.” It can affect your memory, ability to learn, and decision-making process, leaving you feeling disoriented. So, keeping brain shrinkage at bay is a priority.The main way we shrink our brains is through too much stress and too much of a bad diet. The more stress you negatively respond to, the more cortisol you secrete from your adrenals. This causes more release of insulin from your pancreas, and your hippocampus memory zone (in the shape of a seahorse on the side of your head) becomes smaller. You know what else causes spiking insulin release too, multiple times a day, right? Poor communication. The synapses are connections between neurons that help your brain process information. However, both neurons and synapses weaken over time, and the operating levels of neurotransmitters (which act in the gaps between the neuronal synapses) can become insufficient through different pathways. Also, the brain needs cholesterol, and the older we get the more we may need… but that’s for another day. All this decreases communication between brain cells that can lead to memory decline. Diminished circulation. Less blood flows to your brain as plaques start developing inside the blood vessels. If you don’t get enough blood and oxygen to the brain, it won’t be able to get the energy and nutrients it needs to function properly. This is critical. As is sleep, which gives us the down time necessary for the brain to clean up after the oxidative stress we experienced during the day. Excess protein deposits. A sticky protein called beta-amyloid forms in the brain. This protein is believed to be the #1 culprit in the development of Alzheimer’s disease. Once it starts accumulating, your ability to think and remember becomes hindered. Recent research leads us to believe that the plaque is actually attempting to protect the brain from foreign antigen/pathogen invasion. Unfortunately, in trying to do so, it closes down memory and eventually other mind/body functioning. Now, are all of these problems actually caused by aging? Certainly not! Before you decide it’s “normal” to lose brain function as you grow older, think about all of the bright-eyed, quick-witted elders you’ve met in your lifetime. So, if it’s not aging, what is it? A good part of the problem is the American diet. Today, we tend to avoid all fats – including healthy ones – and load up on carbohydrates. This is one of the worst things you can do if you want to keep your brain sharp and active as you age. You see, sugars and high-glycemic carbohydrates – like pasta, bread, potatoes, white rice, and alcohol – quickly raise blood sugar levels. This creates all sorts of problems when it comes to your memory and brain health. In fact, these foods actually cause the four problems I mentioned above. So, let me be more specific referencing what I said above… elevated sugar levels cause shrinking in the part of the brain called the hippocampus, which is involved in memory formation. It damages brain cells and decreases neurotransmitter levels, which disturbs communication between the cells. Just as important, these high levels of blood sugar damage blood vessels to the brain. This reduces the brain’s blood, oxygen and nutrient supply, causing even further damage. Here’s one more negative consequence of eating high-glycemic foods. They promote advanced-glycation end products (AGEs) in the body. AGEs contribute to the formation of amyloid plaques in the brain, which puts you at greater risk of Alzheimer’s disease. What should you replace these brain-robbing high-glycemic foods with? Folks in the Mediterranean get plenty of antioxidant-rich fruits and vegetables in their diet. These are good for the brain. But the real brain booster comes from all the healthy fats in their diet, especially the omega-3 fatty acids found in fish. Help reduce brain shrinkage by delaying the normal loss of brain cells. They’re also associated with greater volume in the hippocampus. This is the region of the brain where Alzheimer’s strikes first – even before any symptoms appear. Strengthen neuron communication. The omega-3s in fish have been found to strengthen the synaptic activity related to memory and cognition. This increases the communication between brain cells to help reverse age-related decline in memory and learning. Increase blood flow to the brain. Fish oil contains two very important fatty acids: docosahexaenoic acid (DHA) and eicosapentaenoic acid (EPA). But the one most abundant in your brain is DHA. And guess what? When you get plenty of DHA, it increases blood flow to active areas of the brain. This helps boost brain performance and prevent cognitive decline. Reduce beta-amyloid levels. Eating plenty of omega-3 fatty fish helps lower blood levels of beta-amyloid. This protein is believed to be the #1 culprit in the development of Alzheimer’s disease. So, the more you can do to reduce levels of beta-amyloid, the healthier your brain will be. If you’re not crazy about fish, you can always take a supplement. Look for an omega-3 supplement that contains oil from fresh, wild-caught, deep sea fish. And make sure it’s been molecularly distilled and tested for purity. It should include at least 300 mg. of EPA and 200 mg. of DHA. These two tips – cutting out high-glycemic carbs and eating more healthy omega-3 fats – can drastically cut your risk of Alzheimer’s and dementia. I have plenty more tips up my sleeve. So, don’t forget to look in your in-box on Wednesday for the second part of my series on brain health. It will be loaded with more nutrients that improve short-term memory, concentration, and alertness … and help kick your mental energy into overdrive. American Academy of Neurology. “Alzheimer’s: Diet patterns may keep brain from shrinking.” ScienceDaily. 30 December 2011. Xiong JS, et al. “Deciphering the MSG controversy.” Int J Clin Exp Med. 2009; 2(4): 329–336. Lucia Kerti, MA, et al. “Higher glucose levels associated with lower memory and reduced hippocampal microstructure.” Neurology. Published online before print Oct 2013. Ko SY, et al. “Advanced glycation end products enhance amyloid precursor protein expression by inducing reactive oxygen species.” Free Radic Biol Med. 2010 Aug 1;49(3):474-80. Epub 2010 May 13. Pottala JV, et al. “Higher RBC EPA + DHA corresponds with larger total brain and hippocampal volumes: WHIMS-MRI study.” Neurology. 2014 Feb 4;82(5):435-42. 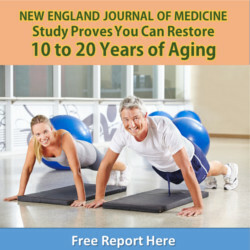 “Can Fish Oil Help Preserve Brain Cells?” Press Release. American Academy of Neurology. Jan 2014. Fernando Gómez-Pinilla. “Brain foods: the effects of nutrients on brain function.” Nat Rev Neurosci. Jul 2008; 9(7): 568–578. Jackson PA, et al. “DHA-rich oil modulates the cerebral haemodynamic response to cognitive tasks in healthy young adults: a near IR spectroscopy pilot study.” Br J Nutr. 2012 Apr;107(8):1093-8. What’s the point in keeping your body healthy—if your brain’s not up to snuff?